Junior Research Fellow: Applicants who have completed B. E. / B.Tech in Mechanical Engineering with minimum 60% marks or equivalent from a recognized Institute for DAE- IPR Recruitment 2018. Projects Engineer / Scientist: Applicants who have completed M.Sc. in Physics (full time) with Minimum of 60% aggregate marks in the qualifying degree OR B.E/ B.Tech in Mechanical/Electrical Engineering with a minimum of 60% or equivalent from a recognized Institute for DAE- IPR Recruitment 2018. Office Assistant: Applicants who have completed Graduate with 5 years or post graduate with 3 years relevant experience. Should have hands on experience in MS Office and related office software or equivalent from a recognized Institute for DAE- IPR Recruitment 2018. 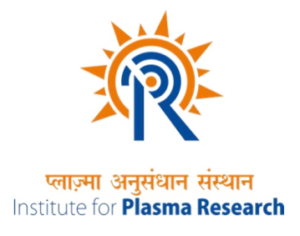 RA II (Mechanical / Physics / Computer Science / Electrical): Applicants who have completed Ph.D. degree in Mechanical/physics or M.E/ M.Tech in Mechanical/Computer Science/Electrical engineering or equivalent from a recognized Institute for DAE- IPR Recruitment 2018. Eligible & Interested candidates can apply via online in Official website page in www.ipr.res.in DAE- IPR Recruitment 2018. Complete the DAE- IPR Jobs Application Form with the essential data. Take a print out of DAE- IPR Recruitment 2018 online application form.